1 New England Historical and Genealogical Register, (New England Historic and Genealogical Society), 1982, Vol. 136, p. 96. 2 Evans, Richard K., The Ancestry of Diana, Princess of Wales , Boston: New England Historic Genealogical Society (2007), 1. 3 Paget, Gerald, The Lineage and Ancestry of H.R.H. Prince Charles, Prince of Wales, Vol. 1, Edinburgh and London: Charles Skilton Ltd (1977), 50. 4 Rietwiesner, William Addams, comp. and Christopher Challender Child, et. al., The Ancestry of Catherine Middleton , Boston, Massachusetts: New England Historic Genealogical Society (2011), 111. 5 Roberts, Gary Boyd, Notable Kin, Volume 1 , Santa Clarita, California: Carl Boyer, 3rd (1998), 87-88. 6 Roberts, Gary Boyd and Christopher C. Child, "The Shared Ancestry of (Rachel) Meghan Markle and Prince Harry of Wales", (accessed 11/30/2017). 7 Roberts, Gary Boyd and William Addams Reitwiesner, American Ancestors and Cousins of The Princess of Wales, Baltimore: Genealogical Publishing Co., Inc. (1984), 25, Ancestry.com (Online Database). 8 Roberts, Gary Boyd, comp., Ancestors of American Presidents , Boston: New England Historic Genealogical Society (2009), 638. 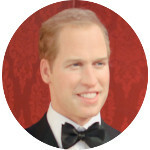 9 The Official Website of The British Monarchy, "House of Windsor Family Tree", (accessed 11/30/2012). 10 Wikipedia, "Charles, Prince of Wales", (accessed 03/31/2011).